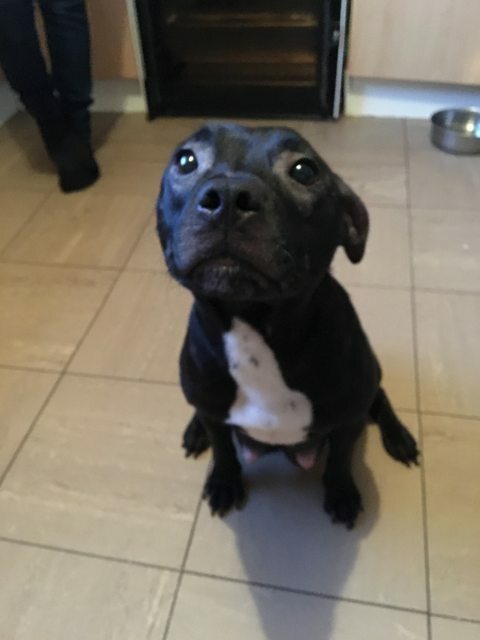 Ruby is a friendly 3 year old female Staffordshire Bull Terrier who is looking for her forever. Ruby is micro-chipped. Ruby has a hernia and has had a skin condition. Ruby is fully house-trained. Ruby has lived with children. Ruby has lived with another dog. Please enquire. ● Ruby is a lovely girl looking for her forever home. Ruby is a great family dog who is excellent at home. She has been living with another dog and has been around children. Ruby is also good on the lead and reacts well to other dogs when out on walks. ● This dog will be vet checked before leaving us.